LeBron James smiled during a postgame news conference after he and the Heat won the NBA Finals. 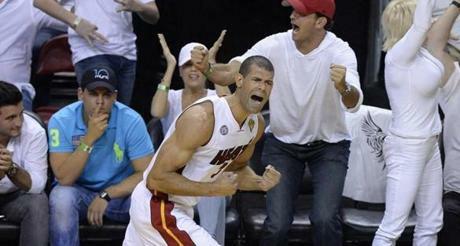 The Heat are the champions for the second year in a row after a 95-88 win in Miami. They faced off against the Spurs in Game 7. 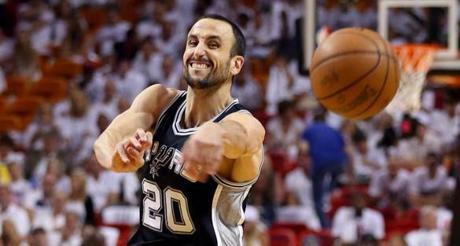 The Spurs' Manu Ginobili passed the ball at AmericanAirlines Arena in Miami. 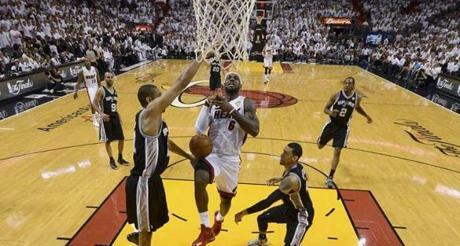 James delivered a 37-point performance in the game.